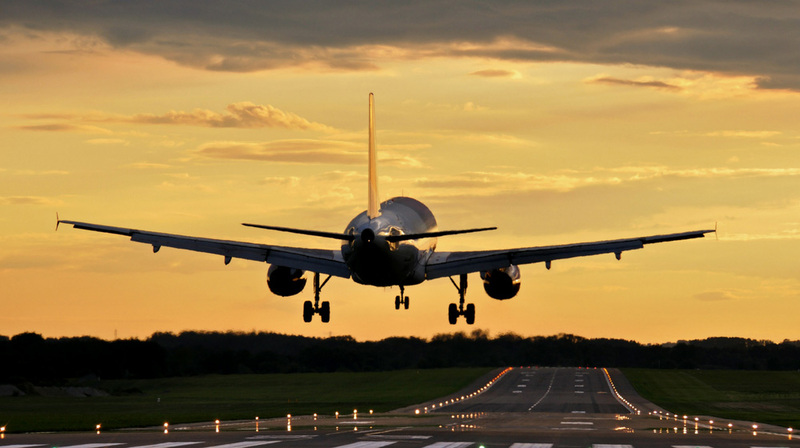 Why is having an air travel preparedness mindset important? When traveling by air, you never know where you’ll end up because of unexpected diversions, etc. Therefore air travel preparedness is so important. Every flight has the potential to strand you somewhere you don’t intend to be. What Should You Do to Prepare For a flight? Research the areas you’re going to, connecting through or where you may layover. Do you know anyone in the area who you can call if there is an emergency? Are there any major events planned, or problems expected that you should avoid? For example, is there a protest going on, or a big sporting event happening that you may want to avoid? Are there any local laws that impact you? Perhaps your traveling with a firearm, or something else that was legal where you took off from, but may not be legal where you land. Here’s an example of what could go wrong when you’re diverted somewhere you didn’t plan on going. Continental Airlines Passenger Arrested in New Jersey. This is a PDF copy of the court appeal in the case. What Can You Bring on the Plane in Checked Bags and Carry-Ons? First and most importantly, if you are unsure of what you can pack and carry-on, make sure you check the TSA website before you travel. Make sure you check the TSA website as the rules may change. It’s better to be safe than sorry. If you are concerned with having safety, security and preparedness items on your trip, put them in your bags. Then, when you arrive at your destination, turn your bag into a bug out bag. Make sure you have a small carry-on bag that will fit under the seat in front of you. That way, if you have to check your bag, you will be able to keep your most essential items with you. What Do People Need to Do to Safely and Legally Travel with Firearms? First, make sure you check the TSA and individual airlines websites. Also, don’t forget to check the local laws of where you are going and any places you’re passing through. Schedule enough time before your flight to go through the required security checks for traveling with a firearm. Also, don’t forget the timing of your layover. TSA may want to inspect your firearm during the layover. Therefore, if you have a short layover, your gun may not make it onto the plane. Give yourself plenty of time, so you don’t have problems. Transport your firearm in a TSA approved case. Your ammunition should be in factory boxes. If your case has a place for two locks, put two locks on it. Print out the TSA firearms policy so you can point out any incorrect directions a TSA officer may give you. Remember, everyone may not understand the rules as well as you. So be patient, and work through it. What Can be Done to Make Sure You Have Access to Personal Protection Items When Traveling? When on the plane, there are some things you can use for personal protection items. As always, whenever possible, avoid physical conflict. However, if it is entirely unavoidable, use whatever you can to gain an advantage. Stainless Steel sharpie and pens. Air Planes Coffee Pots, Fire Extinguisher, etc. What Can be Done to Minimize the Stress and Frustration of Airport Security? When going through airport security, be patient and cooperative. It can be a stressful time for many people. Don’t forget, that airport security personnel are people too. They may be having a bad day. Perhaps someone before you caused them problems and they are still irritated. Don’t argue with them. Be nice and work with the system. Make sure that you know and follow the rules. In the end, getting upset and causing problems will only delay you, or worse. How Do You Make the Most Out of the Airline Boarding Process? When buying your tickets, pay attention to where you seat is. Pick a seat as early in the boarding categories as possible. If you are concerned about your place in the boarding line, consider purchasing priority boarding ahead of time. If the overhead bins are full. Therefore, you’ll want to bring a bag that you that you can fit under the seat in front of you. What is the Safest Part of the Plane if Something Goes Wrong? The number one this to remember is that the is U.S. air carriers rarely crash and are safer than driving. About the safest places on the plane, first class is the least safe. The center, rear section of the plane is the safest. Sitting towards the outside of the plane also decreases your safety. Research your trip ahead of time. Know the airline rules and follow them. Cooperate with airport security and flight crew personnel. Never assume you’ll always be with your carry-on. Make sure you can fit your bag under the seat in front of you, or you may be separated from it. If you have any other thoughts or questions about air travel preparedness, please leave a comment below.